Heat oven to 350. Generously grease your 12-cup tube pan, I used the spray oil with flour added. In large bowl, beat the sugar and butter with electric mixer on medium speed until light and fluffy. Scrape bowl occasionally. Add eggs, one at a time, beating well after each addition. Stir in lemon peel. In Part 2 of the series, we dive into a wonderful mocha sauce for all your dessert pleasures. Welcome to Part 2 of my blog series on what to do with leftover coffee. I really cannot bring myself to throw it away, and have scanned my library for any and all (well, maybe not all) recipes for using this ingredient. The sauce in question has to be the best I have come across as many times the flavors or consistencies have been disappointing. It was delightful to come across one as excellent as advertised. The book in question is “300 Best Chocolate Recipes” (that right there got my attention when I bought it), and it lives up to expectations. Please note that there are also chocolate sauce recipes in this book that call for merlot wine or bourbon, the bourbon probably being the best, but not having tried them, I cannot speak as to how they taste. See references below for all bibliographical info. One more thing, you will need your spoon, as in, it’s fabulous right out of the jar. Sort of a dessert in its own right. In a large saucepan, whisk together cocoa powder and brown sugar. Add coffee, cream and corn syrup, whisking until smooth. Bring to a boil over medium-high heat, whisking continuously. Remove from heat and whisk in chocolate chips and rum. Let cool, it will thicken some, and serve. The author also suggests instead of the rum you could add kirsch or crème de menthe, but personally, I’d hold out for the Chambord. Hasson, Julie. “300 Best Chocolate Recipes.” Toronto: Robert Rose Inc., 2006. Note: I used dark brown sugar as dark has so much more flavor than the light. It is your choice, as either way it is delicious. You can follow the further adventures of Sue or sign up for a class at her website: www.svanslooten.com or email: suevanslooten@icloud.com. Deep, dark, and delicious mean anything? This cake speaks to the inner chocoholic in all of our chocolate hearts. I have decided that the next few blogs will center around one peculiar ingredient, coupled usually with chocolate. The darker the better. The key ingredient? Leftover coffee. Hold on, now, haven’t we all had pots of leftover coffee, and regret having to throw it out? After all, coffee is expensive these days! And coffee and chocolate go together beautifully. 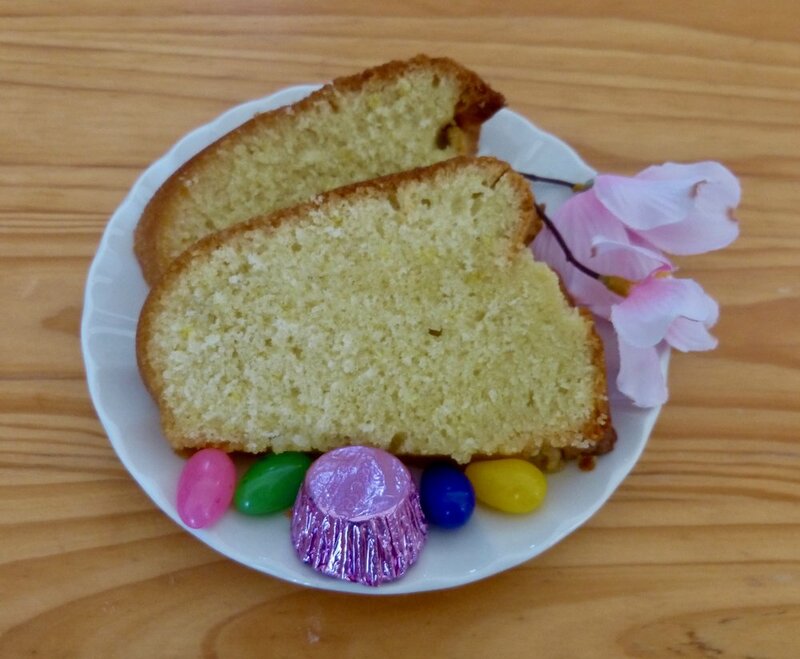 So over the course of the next several weeks, we will look at a cake, fudge sauce (you might want that with the cake, see photo), Tiramisu, and the one savoury entry, a coffee glaze for BBQ and fish. The cake in question originally came from an old cookbook of mine, but as usual, has been tweaked here and there. I’ve made this one many, many times, and felt it needed sharing. It’s pretty simple to put together, and bakes in a 9X13 pan, two pluses in my mind. The book in question is an oldie but goodie, and goes by the appropriate name of Choice Chocolate Recipes, put out by Farm Journal in the 70s. I’ve made many of the recipes in this book, but this one remains my favourite. Stir together flour, sugar, cocoa, baking soda, baking powder and salt in mixing bowl. Add eggs, oil, coffee, buttermilk and vanilla. Beat with electric mixer at medium speed 2 min. Pour into greased 13X9” baking pan. Bake in a 350 oven for 40 minutes or so, until cake tests done. Cool pan on rack. Makes 16 servings. Next blog: How to make the fudge sauce, so stay tuned. Manning, Elise W., Editor. “Farm Journal’s Choice Chocolate Recipes.” New York: Doubleday Company, Inc., 1978. 1. If you don’t have leftover coffee, but still want to make the cake, you can use 2 tsp. instant in one cup hot water. Let cool. 2. 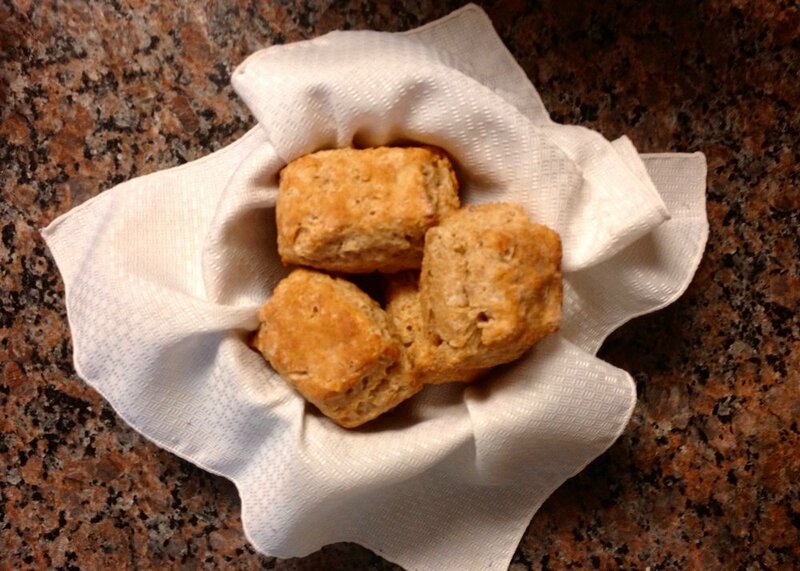 If you don’t have buttermilk, you can use a scant 1 cup of milk with 2 tsp white vinegar, cider vinegar will also work. Stir together and let sit for a couple of minutes. You can follow the further adventures of Sue or sign up for a class at her website: wwwsvanslooten@icloud.com. This is a delicious, slightly chewy, slightly sweet, but oooh sooo yummy oatmeal cookie! The world NEEDS this cookie! Many of you know that I love oatmeal bread, but what you may not know is I love oatmeal cookies even more. I have tweaked, added, experimented, and generally tuned my recipe, until I’m fairly confident it’s the best Oatmeal Raisin Nut Cookie recipe there is. At a recent picnic, my suspicions were confirmed; comments were in the rave category. All 2 dozen disappeared; there weren’t even any crumbs. These cookies make a large, 3-inch “fat” cookie, nothing chintzy here, but a good healthy dose of cookie heaven. For the picnic, I made a double batch, feel free to do so, but there would have been mutiny if I didn’t make some for the family. Those cookies are long gone, but there have been several hints for “more.” They are also good keepers, if they last that long, and freeze well too, at least, I’m assuming they would, as none have never made it that far. For those of you who are nut allergic, just leave the walnuts out. You will still have a really fantastic cookie. Method: Heat oven to 375 F. Mix all ingredients except oats, flour, raisins, and nuts. Stir in flour, oats, raisins, and nuts. Drop or pat dough into a “patty” at least 2 good-sized tablespoon at a time, about 2 inches apart on an ungreased cookie sheet. I tend to be generous, and if you want the three-inch monster cookie, you might want to use more. Flatten the dough or patties to a little less that ½” thick with a water glass, the bottom dipped in granulated sugar. This gives the cookies a uniform thickness and some sparkle. Bake until light brown, about 10 minutes. As ovens vary, this may be more or less, just use your own judgment. Remove quickly from cookie sheet and let cool on wire racks. The recipe makes about 2 dozen 2-3 inch cookies. Important Notes: You can use other kinds of oats as well, the last time (the ones in the photo) I did a 50/50 mix of large flake and rolled. The water glass will start picking up the sugar after it’s been used once or twice on the dough. You can follow my further adventures at myMother Earth Website, motherearthnews.com. Or, you can email me at suevanslooten@icloud.com. Milling your own flour is a delicious way to add nutrition and flavor to your recipes. Want maximum taste? Mill your own. Cover Photo Copyrighted by iStockphoto.com/MonaMakela. Courtesy of Robert Rose Inc. Many of you already know I recently invested in a grain mill, the hand crank variety. Now I have a cookbook to go along with it. If you buy only one book on the subject, this is it: “The Essential Home-Ground Flour Book,” by Sue Becker . Sue is incredible; as she covers just about any aspect you can think of on milling, flours, grains, with one hundred delicious recipes to boot. Everything is very well researched, and extremely well written. The amount of information is incredible, but I found it a fabulous read. Yes, I read cookbooks, and I really like this one. Maybe you have noticed that by now. It was a tough choice deciding which one to do first, but I settled on the Buckwheat Corn Muffins, the Fruit variation; I used blueberries. (It wasn’t easy hanging on to the berries until baking time—the blueberry vultures were about.) I am also doing Dark Molasses Oatmeal Bread, and you will hear about that in the next blog. Most of you know Oatmeal is one of my favourites, but this one is with a twist. Stay tuned. Right now let’s make some of these absolutely delicious muffins, you won’t regret having these for breakfast! You will need a greased 12-cup muffin tin, a 24-cup mini muffin pan. I used unbleached paper liners by If You Care . 1. In a large bowl, whisk together buckwheat flour, corn flour, baking powder and salt. Make a well in the center. Set aside. 2. In another bowl, whisk together oil, honey, banana, and eggs. Add all at once to flour mixture. Mix just until incorporated. 3. Divide batter evenly among prepared muffin cups, filling three-quarters full. Bake in a preheated oven for fifteen minutes (12 minutes for mini-muffins), until golden brown and tops spring back when lightly touched. *Sue suggests almond, rice, soy or coconut in this recipe. Buckwheat Corn Fruit Muffins: In Step 1, add ½ cup light evaporated cane sugar (I confess, I didn’t add the extra sugar, apologies Sue!). After mixing batter in Step 2, gently fold in ½ cup blueberries, diced peaches or sliced strawberries. 1. Becker, Sue. “The Essential Home-Ground Flour Book.” Toronto, ON: Robert Rose Inc., 2016. 2. Try Unbleached, Totally Chlorine-Free (TCF) baking cups by If You Care. They’re as good or better than parchment, no greasing required. www.ifyoucare.com Imported from Sweden. You can follow my further adventures and check out my Real Food blog on MOTHER EARTH NEWS at wwwMotherEarthNews.com. If you wish, you can email me at suevanslooten@icloud.com. I’d be thrilled to hear from you! No, this isn’t about ground beef. This is about flour. Last year I became intrigued by grain mills, what a great idea, so thought I. That lasted until sticker shock set in. The whole idea was put on hold as “nice idea, too expensive.” You can literally spend hundreds upon hundreds of dollars for a grain mill, some are quite attractive to look at, but still, they’re expensive pieces of kitchen equipment. Trolling through Amazon taught me there are a great variety out there, some do a better job apparently than others, but at the end of the day, unless you buy one and try it, you don’t really know how it will work or whether it will fit your needs. Our needs were basic, just something to grind whole-wheat flour or whatever strikes my fancy. I don’t see myself as a daily grinder, but many do. Who knows, with enough passion, it could happen! In a recent trolling trip through Amazon, I came across a Victorio grain mill, and I checked it out, as I already own their food mill, and love it. It was under $100, so with a click of the mouse, said mill, along with some bags of Bob’s Red Mill whole grains, were on their way. Upon its arrival, it got put to immediate use. Alas, my butcher block table was too thick for the clamp, but the workbench in the garage was perfect. You won’t want to connect this to anything fancy, like your dining room table. Serious force will be applied. I had ordered a bag of hard red spring wheat berries to make whole-wheat flour, so in went two cups, and I started turning the crank. You will get a very nice upper body workout, which I consider a side benefit. With a bowl underneath to catch the flour as it came out, soon enough, we had flour. It took about ten minutes to create three cups flour, and that is the normal yield according to a book I got on grinding (more about that in the next blog!). The next step was to bake something, in this case I chose banana bread. If you have never tasted a baked item made with freshly ground flour, you are in for a real treat. The taste is totally different-fresher, tastier, more what you would expect a baked good should taste like. You just do not get that experience with commercially ground flours and baked products, especially whole-wheat. Many of the commercial ones taste strong, dry and bitter in comparison. For those reasons alone, whole-wheat flour was never popular in our house. So what are some of things you need to look at when purchasing a grain mill? Certainly cost is a factor, but obviously not the only one. To motorize or not to motorize? Mine is not, but often times you can order a motor to go on it afterward if you wish. Check the model you’re interested in to make sure it can be upgraded. The other thing to consider about motors is if it’s manual, it will always work. If you’re off the grid, it’s obvious, but if you have thirty-hour power outages like we do here, you might want to keep that in mind too. It never hurts to be prepared. You can still make stuff on your camp stove in that situation! Another thing to consider is speed. Some grind faster than others. Mine is considered a “slow” one, but I thought three cups in ten minutes pretty adequate. Now if you are baking for a family of six, you might feel differently. Or....get the kids to do it! Mills also grind in different ways: Burr grinders, steel, stone. What you can grind is also important. Mine for example won’t do large grains like corn, so if cornmeal is what you want, you will have to buy something bigger. Be aware that you are limited by what can fit through the hopper. Small grains like wheat berries are what mine is designed for. It can handle buckwheat, teff, rice and the like. Oats are not recommended because they are too light to flow through the hopper. You need to watch that the grinding cones don’t overheat if there isn’t enough material being processed through them, hence the problem with oats. Perhaps a bigger mill would handle oats with no problem. Or, you could run oatmeal flakes through a food processor or blender if you want oat flour. Bob’s Red Mill. www.bobsredmill.com Bob’s carries a dizzying array of whole grains. They often have your harder to find items and more unusual flours, etc. Last accessed May 11, 2016. If you wish, you can email me at suevanslooten@icloud.com. I’d be thrilled to hear from you! 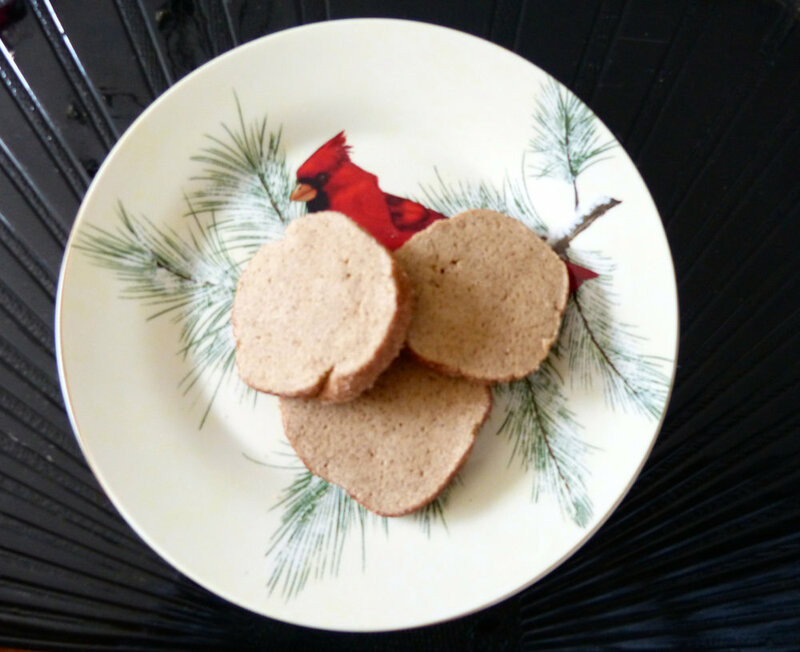 This is the perfect shortbread/Christmas cookie! If you love shortbread, and a lot of people do, this is THE cookie to make. The colourful cranberries make them really pop at Christmas time. This delightful recipe comes from “Christmas Cookies: Dozens of Yuletide Treats for the Whole Family,” by Monika Römer [1, 2]. The recipes in this book are sometimes more challenging, but they are spectacular, the photos by Oliver Brachat, (a chef and pâtissier himself) are gorgeous, and there is a special kids section for baking with the younger set that is quite good. Oh for some kids to bake with! Also, if any of you are into German traditions of baking, or you want to see what it is all about, I would suggest this book. Note that heart shapes are very popular in Germany at Christmas, but they also would work beautifully for Valentine’s Day. Check out my photo, and I think you will agree. Additional: Flour for dusting, heart-shaped cookie cutter, parchment. I would also use stars. 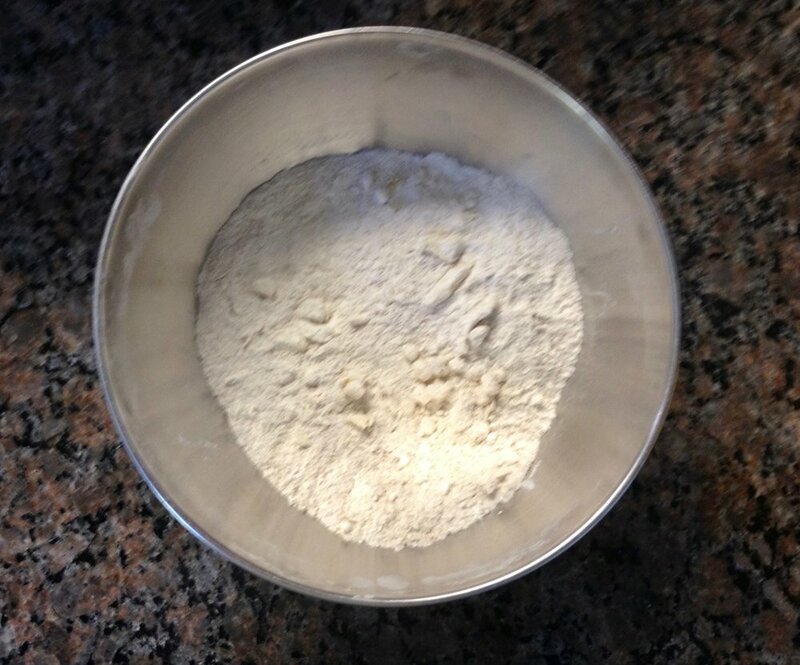 Roll dough out on a floured countertop (or board) to form a sheet approximately 1/3” (to be specific, 2/5”) or 1 cm. thick. Using cookie cutters, cut out small hearts (or stars), and place onto a baking sheet lined with parchment paper. Place the baking sheet in a preheated oven (middle rack) and bake the shortbread hearts for about 10 minutes, until they are very lightly coloured. Remove the cookies from the oven, take them off the baking sheet along with the parchment paper and allow to cool. Makes one tray. Now all you need is a proper cup of tea, and you have a most comforting afternoon Christmas treat! 1. Römer, Monika. “Christmas Cookies: Dozens of Classic Yuletide Treats for the Whole Family.” Skyhorse Publishing, Inc., 2015. 2. Römer, Monika. “Unsere Weihnachtsbäckerei.” Hölker Verlag im Coppenrath Verlag GmbH & Co. KG, Münster, Germany, 2012. Note 2 is the original German version of this book. You can follow my further adventures in the world of food or sign up for a cooking/baking class by visiting my website at www.svanslooten.com and you can also email me suevanslooten@ripnet.com. I’d love to hear from you! Often when I get a new cookbook, the first thing I look at is the dessert section. It is sort of like reading the book backwards, from back to front. I figure, if the desserts are good, everything else will be. Some say you should always check the veggie section first, and there’s good logic for that, but I always start with dessert. When eating out, I do usually judge a restaurant by how well, or not, they cook the vegetables. In cookbooks, though, I start with the desserts. This brand new book did not disappoint. Thomas Gosney’s “Method of Procedure” is a wonderful book, great recipes, beautiful photography, and oh yes, he is one heck of a chef. Immediately I saw the chocolate pie recipe, and thought, have to try that one, no two ways about it. You will be seeing a couple of his recipes in upcoming blogs, so taken was I by this book. I will give Thomas’ method exactly, with any changes I’ve made in parenthesis. Pour granola, melted butter, and macadamia nuts into blender (I used a food processor). Make sure to take out 16 for the garnish. Blend until granola and nuts grind up finely. You will have to stop and stir several times to make this happen. This will ensure you won’t burn up the motor. Pour mixture into pie dish and press with spoon on the sides and bottom to form a tight crust. Wash out blender. Place tofu into blender and blend until creamy smooth, set aside. Break chocolate into small pieces and place in a double boiler. A pot of water with a stainless steel bowl or glass Pyrex will do nicely. The water temperature should only be slightly simmering and turn off heat. Place bowl on top to melt chocolate. The melting point of chocolate is 110 degrees. Make sure the water is not too hot or you will have problems. When the chocolate is completely melted remove from double boiler. Using a wire whip pour the tofu into the chocolate, whipping rapidly until the mixture completely incorporates. DO THIS VERY FAST AND DON’T STOP! It only takes a minute, if not, you will have a lumpy mess. (I also warmed up the tofu in the microwave a little, to facilitate the blending, and hopefully not seizing the chocolate.) Make sure to add tofu to chocolate, not the other way. Use a rubber spatula to pour mix into pie dish, smooth out top. Garnish with macadamia nuts and raspberries around the sides, alternating each one. (I used alternating mint leaves and nuts, as you will see in the photo.) Place the remaining in the center. Chill for 1 hour. Serves 8-10 pp. Gosney, Thomas. Method of Procedure. Xlibris, 2015. The New Year has come, and January itself is about gone. I think it is appropriate then that I offer some tips to make your cooking and baking life easier in future. A lot of times in life, it isn’t always the expensive gadget or appliance, it’s often the little things that really count. Every cook has a repertoire of tricks and techniques, as I’m sure you all do. Perhaps you’d like to share a few with your fellow readers, and if so, I can post them via a future, or next, blog. Just drop me a line at suevanslooten@ripnet.com, and I’ll be happy to take a look at them. They will also get posted on my website at www.svanslooten.com. We can all learn something from each other that way. So, let’s get cooking on this. 1. Parchment paper-Not just a fancy waxed paper. Parchment can be worth its weight almost in gold when it comes to baking. I always use it to line cake pans, sweet breads, etc. Also, with fussy cookies, or sticky ones like macaroons, it is indispensible. It will really save you a lot of headaches when it comes to turning out your favourite product. It’s also useful for cooking fish packets and goodies like that. Plus, as it is greaseproof, if it isn’t too soiled, you can reuse it. It also tends to not burn as easily as paper would. 2. Instant read thermometer. In baking, it is very handy indeed to know if your product is done. The instant read will tell you at about 190 F., you bread is basically done. In candy making, well, don’t attempt it without one. I’ve done it, but....the results were good, I just find the thermometer takes the guess work out of it. Ditto for any kind of cheese or yogurt making. 3. 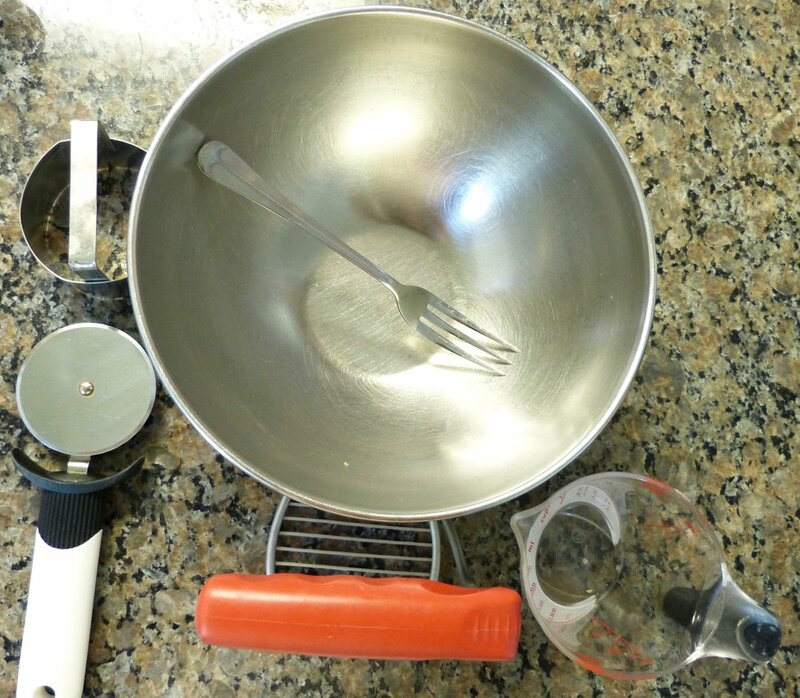 Dough whisk-heck, you could do a whole blog on this one. We even gave one away a couple of years ago. It is wire crazy loops mounted on a handle. The only place I know where you can get one is King Arthur Flour, and it’s worth going all out for the big one. If you want to make bread, this is the device to have. Even for just mixing dry ingredients together it’s great, but when it comes to mixing a loose, still ragged bread dough, you will wonder how you managed to survive all these years without one. 4. Olive oil. Use this instead of vegetable oil in your bread and cake recipes. If you use the light tasting stuff, you will never know that pumpkin bread or brownies, or zucchini bread was made with olive oil. I just made an applesauce cake with it-delicious! In fact, I think it tastes even better. You then don’t have to rely on commercially made vegetable oils, which are garnering question marks about their quality and integrity. Besides, millions of Romans, Greeks, and their modern day counterparts, can’t be wrong. 5. Jar Key. This is one of those little gadgets that really will make life easier, as when you get a particularly stubborn pickle jar, jam jar, or what have you. Many a time I have struggled to turn the lid, to no avail. Enter the Jar Key (see red item in photo). Hook it on, lift it up, and the vacuum seal breaks. Now you can open your jar. 6. Spray Oils. This may seem like an obvious one, but I’m sure someone is still struggling to grease fancy shaped pans, etc. I keep two varieties on hand, maybe three. The first is an all purpose canola oil type. The second is the baking type, which has flour in it, particularly useful for baking. The third, although I don’t usually keep it on hand, is olive oil. They do work really well, and are a true convenience. The one caveat I have is, don’t breathe the fumes, and I question what’s really in the propellant, namely isobutane and propane. This is particularly true with the baking one with flour. Improperly used, you can have a real flamethrower on your hands. 8. Butter. Is better. We all know about the dangers of trans-fats in margarine by now, so without sounding like a broken record, don’t use it. It also just doesn’t work well in cookies, cakes, and generally not at all in pies. If you want to get grossed out by one of industrial foods more questionable products, read the history on this one. You’ll never touch the stuff again. Shortening is also questionable for the same reason, but there is an alternative if you don’t want to go the butter route, and that’s the trans-fat free stuff. It is a vegan product that works very well. It is generally much more expensive however, but, if you feel it’s worth it, go for it. I’m thinking of pies here, so you could also go the lard route. Or, 50/50 butter and shortening works very well too. 9. And last but not least: Time. Trying to cook or bake in a rush is not only very stressful, but can often times lead to disaster. No on wants to be like Marge Simpson when she’s late for the bake sale. You can drop Sue a line at suevanslooten@ripnet.com, she’d love to hear from you.